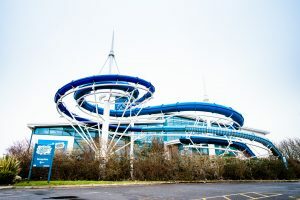 As Splash World, Southport reflects on the 10 years since it first opened its doors in 2008, the Sefton Council run centre has discovered that it has saved almost 3,000 tonnes of CO2. This massive saving would be enough to run nearly 800 homes for an entire year and is the equivalent to planting over 31,000 trees. The huge savings have been achieved through the use of an onsite Combined Heat and Power Plant (CHP) which has allowed the centre to generate its own electricity by using renewable energy from solar power. While new and more efficient technology has facilitated the savings, the indoor water park and leisure centre has worked closely with the council’s Energy and Environmental Management Section to make changes to how the site is run to ensure better energy efficiency. This includes the installation of pool covers, LED lighting, better controls to air conditioning and more up to date and energy efficient gym equipment. The centre also ensures that all of its staff are trained to ensure that energy saving is part of their everyday job. Cllr Ian Moncur, Sefton Council’s Cabinet Member for Health and Wellbeing, said: “It is fantastic to see that energy saving has become such a huge priority in recent years. “To see the amount of CO2 emissions that have been avoided since Splash World first opened its doors 10 years ago really sets a precedent for local businesses to take action and undertake measures to use alternative energy sources.